1929 was the final year of production for the Stearns-Knight Company from Cleveland, Ohio. They built high-priced, high-quality automobiles starting in 1901, and featured the patented Knight sleeve-valve engines as early as 1911. In 1925, the firm was purchased by John North Willys to be the ultra-luxury component of his Willys-Overland empire, but like many, was derailed by the effects of the Great Depression. 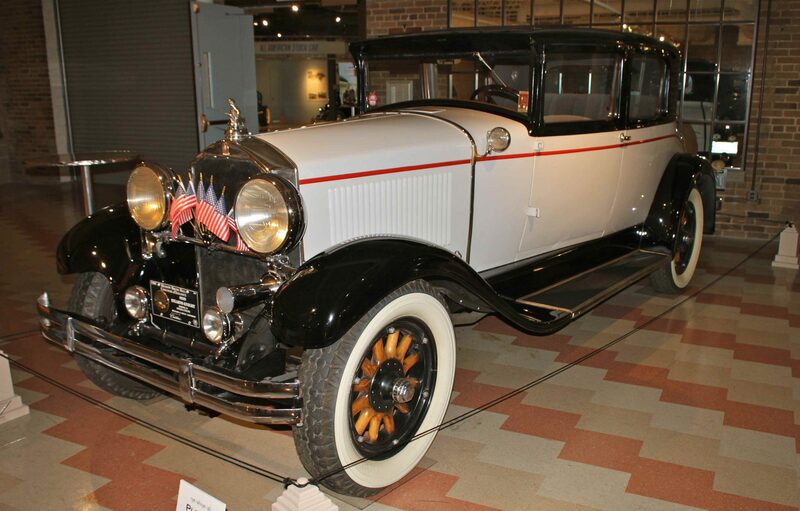 This lovely five-passenger Coupe was donated to the ACD Museum by Richard and Holly Anderson, and features a 255 ci inline six-cylinder engine producing 70 HP. With a 234” wheelbase, the car weighs approximately 4,000 pounds and cost $2,645 when new. The Knight in shining armor hood ornament remains one of the most collectible and notable available today. If you have a Stearns-Knight or another collectible you’d like to insure with us, let us show you how we are more than just another collector vehicle insurance company. We want to protect your passion! Click below for an online quote, or give us a call at 800.678.5173.